Shop Simply Dresses for the ideal mother-of-the-bride dress or mother-of-the-groom dress. This assortment of fabulous semi-formal or formal dresses for the mother of the bride or groom are both elegant and sophisticated. This collection includes short MOB party dresses that are chic and classy for semi-formal ceremonies, and long evening dresses for mothers of the groom and mothers of the bride who prefer luxurious formal dresses for black-tie weddings. In this selection of mother-of-the-bride dresses, find the latest colors, fabrics, and styles to complement the wedding theme. Whether you are shopping for a classic long formal dress, a trendy semi-formal short party dress, or a lavish evening gown, find a dream dress for the mother of the bride or groom that the bridal party is sure to love. What Should the Mother of the Bride and Mother of the Groom Wear? When your son or daughter is getting married, shop Simply Dresses for beautiful MOB dresses and mother-of-the-groom dresses for this important milestone. Here are 4 tips for finding the perfect dress for your son or daughter’s wedding ceremony. 1. Confide in the Bride: The bride most likely will want to have a say in the mother-of-the-bride and mother-of-the-groom dresses. She may simply give tips about style, color, and degree of formality, or she might prefer to choose the dress. It’s important to share your feelings about your preferred styles, fabrics, and colors, but always remember that the bride has the final say. 2. Consider the Wedding Colors: If the bride entrusts you to choose your own MOB dress, be sure to wait until she selects the bridesmaid dresses to start looking for your own. 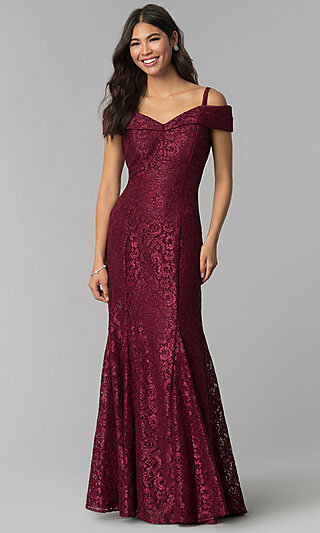 Then you can start looking for a dress that complements the bridal party’s colors. 3. Check the Formality of the Venue: It’s important to find out whether you are expected to wear a lovely semi-formal mother-of-the-bride dress for a laid-back afternoon wedding or a glamorous long evening dress for a formal evening ceremony. 4. Coordinate with the In-Laws: Traditionally, the mother of the bride gets the first pick of dresses before the mother of the groom. 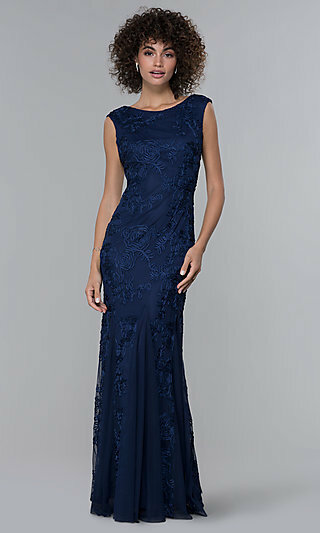 The mother-of-the-bride dress and mother-of-the-groom dress don’t have to match, but should coordinate without clashing. Simply Dresses has a fabulous collection of long and short mother-of-the-bride dresses and mother-of-the-groom dresses that allow you to stay on trend while looking and feeling fabulous on the day that your son or daughter take their wedding vows. With the tips above in mind, shop this assortment with confidence to find your ideal look for your child’s special day.